Visa is to bring its real-time payments platform to market in Europe after experiencing strong growth in other key markets globally. 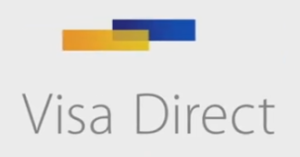 Visa Direct enables person-to-person (P2P), business-to-consumer (B2C), and business-to-business (B2B) payments with funds transfers to recipient accounts taking place within minutes. For the European roll-out, Visa has partnered with Worldpay to equip merchants with the capability to send real-time payments to consumers. The card scheme is also releasing an API on its developer platform to help bank and merchant clients implement the technology.